When flooding threatens your home, Stash Property Restoration is the restoration company to call. We have years of experience dealing with all types of flooding and the damage it wreaks. Just ask for a list of our satisfied customers. 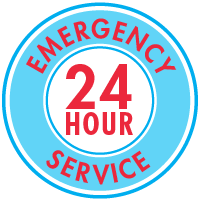 Whether your problem is due to burst pipes, a leaking water heater, a sewer backup, a severe storm, a damaged roof, or a river or tidal surge Stash Property Restoration is ready to help. Whatever the source, call our emergency hotline. We offer water pumping and water extraction services around the clock. In addition, our mobile drying equipment can be set up quickly. We're Chicagoland and Northwest Indiana's water cleanup experts! Contact us today to have your water damage inspected by one of our professionals. We offer free estimates for all of our water damage restoration services in Portage, Lake Station, Chesterton and throughout Indiana. Stash Property Restoration specializes in all types of water damage, from a toilet overflow or burst pipe to a flooded basement, we can promptly assess the damage and provide the right water damage restoration services for your problem. Call Stash Property Restoration at 1-844-385-9367 or get an online quote for water damage repair in Lake Station, Portage, Chesterton, Gary, South Bend, Valparaiso, Cicero, Orland Park, Lemont, Berwyn and nearby areas throughout Indiana.